Offering responsive interior design and engaging interior architecture in a highly competitive and chaotic world, working and living in harmonious surroundings, enabling us to thrive intellectually, physically and emotionally. Making you happy in your environment is my passion. I have a genuine interest in people and an inquisitive mind, appreciating my clients’ inherent needs and aspirations and translating these ideas into their homes. I believe in a non-prescriptive approach, gently guiding my clients through the restoration and development process, so that together we create their vision, balancing form and function with comfort and style. My role is to ensure a consistency and integrity in the overall design. The optimisation and flow of interior space is critical, as is the dialogue between exterior and interior. As an interior designer in the construction and renovation industry for over 16 years, I deliver affordable, exciting and transparent solutions for each project. Hiring an interior designer should be an emotionally engaging and rewarding experience. Our aim at Julie Croll Interior Design is to provide a solutions-based approach, delivering on time and on budget. 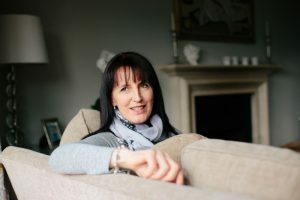 Julie Croll Interior Design is pioneering a new philosophy, offering an expression of each client’s unique personality, through a tailored design service. Our objective is to add value to your investments, so we will work closely with your appointed architects, surveyors and contractors or can offer complete project management. I can call upon an extensive range of expertise, including lighting design, bespoke joinery, decorative arts, soft furnishings and audio visual media for both commercial and residential developments. Whether it’s your first time, or you are a regular to changing your environment, we would love to hear from you. We will listen to your requirements and walk you through what options are available. The first step is getting in touch, we’ll do the rest.